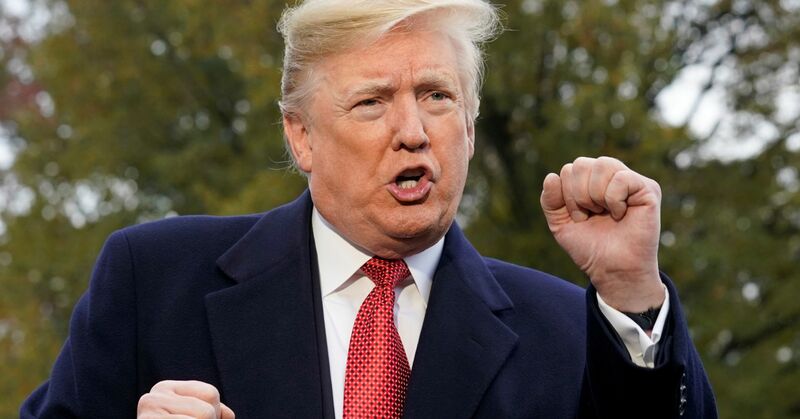 President Donald Trump dove into tight Senate and gubernatorial races in Florida, Arizona and Georgia on Friday, tweeting a series of unfounded claims apparently aimed at sowing doubt about the election results if Democrats ultimately prevailed. In Florida, closely watched Senate and gubernatorial races seemed headed to recounts as slim leads held by Republicans Rick Scott and Ron DeSantis, respectively, tightened on Friday. Trump and Republicans in the state focused their ire on late returns from Democratic-leaning Broward County, Florida’s second most populous county. For Trump, the results of Tuesday’s elections could hardly have higher stakes. The two contested Senate races in Florida and Arizona will set the makeup of the only chamber of Congress left that is still under Republican control next year. The outcome of two contested governors’ races in Florida and Georgia, meanwhile, could have major implications for the 2020 presidential race, not to mention the lives of the 30 million people living across the two states. But Trump’s unfounded claims about fraud and stolen elections this week did not appear out of the blue. On the contrary, Trump has shown himself more than willing in the past to spread false conspiracy theories and cite fake statistics about elections and voting in order to further his political goals. But now, as the prospect of extended recounts takes shape across several states, the president’s scorched-earth tactics risk inflicting long-term damage on the U.S. election system. As of Friday afternoon, the Florida Senate race was too close to call, with Scott leading Democratic Sen. Bill Nelson by about 15,000 votes, or 0.2 percentage point. Also too close to call was a Senate race in Arizona, where Republican Rep. Martha McSally recently lost what appeared to be a lead over Democrat Kyrsten Sinema. Votes are still being counted across the state, but on Friday, momentum seemed to be shifting from McSally’s camp to Sinema’s. In the Florida governor’s race, DeSantis had only a 36,000-vote lead on Friday afternoon over Democrat Andrew Gillum, a 0.4 percentage point margin. And in both the Senate race and the gubernatorial contest, vote counts fell within the 0.5 percentage point margin for a mandatory recount in the state, although this could change. Counties have until noon on Saturday to deliver unofficial results to the state. In Georgia, Republican Brian Kemp — who stepped down as the state’s top election official only Thursday — led Democrat Stacey Abrams on Friday by fewer than 2 percentage points in the race for governor. Kemp had garnered 50.3 percent of the vote, just above the majority threshold needed to avoid a runoff with Abrams. But the race was still too close to call, as Georgia continued to count final returns. With his allies facing the prospect of losses in closely watched states, Trump came to their defense Friday with explosive tweets, in some of which he spread conspiracies. In alleging foul play by Florida’s Broward County to tilt the elections, Trump joined top Florida Republican Sen. Marco Rubio, who also claimed Broward County had a history of corrupt elections. On Friday afternoon, Republicans got a boost when a judge ordered that the county had to turn over voter information to Scott’s campaign and the National Republican Senatorial Committee under Florida’s open records laws. @realDonaldTrump: In the 2016 Election I was winning by so much in Florida that Broward County, which was very late with vote tabulation and probably getting ready to do a “number,” couldn’t do it because not enough people live in Broward for them to falsify a victory! 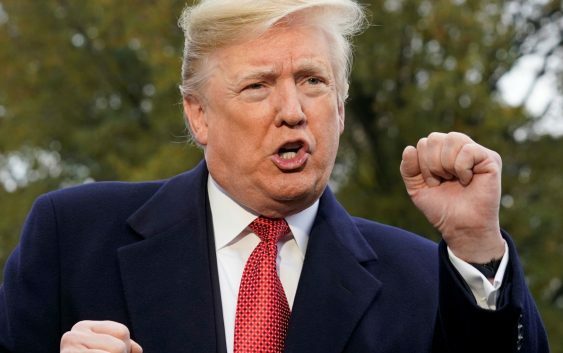 Trump also said Friday that he would send lawyers to Florida to “expose the FRAUD” and to counter the effect of prominent Democratic election lawyer Marc Elias, who is representing Nelson’s campaign. There did not appear to be any legal means for the president to deploy federal officials to Florida, however. The White House on Friday did not respond to questions from CNBC about Trump’s claims. The Republican National Committee sent a fundraising email claiming it needed to raise $247,867 to send a “team of reliable supporters to oversee the entire recount process.” The RNC has already raised millions dollars this cycle for its legal defense fund, which can used to pay for recounts. In addition to Florida, the president also tweeted about Arizona’s Senate race from aboard Air Force One on Friday, bound for Europe. “Just out — in Arizona, signatures don’t match,” Trump wrote on Twitter, without citing any evidence. “Electoral corruption – Call for a new Election? We must protect our Democracy!” he added. Trump appeared to be referring to a lawsuit brought Friday by Arizona Republicans that could limit the number of votes counted in the Senate race. They have challenged a practice in two counties, including the state’s most populous in Maricopa County, that allows voters to fix signature issues on mail-in ballots for up to five days after the election. About three-quarters of Arizona voters use mail-in ballots. In Georgia, meanwhile, Trump appeared to discourage officials from counting the remaining ballots in the gubernatorial race. “It’s is time to move on” because Kemp “won,” Trump tweeted. @realDonaldTrump: . @BrianKempGA ran a great race in Georgia – he won. It is time to move on! Kemp has faced accusations of using his power as Georgia secretary of state to suppress the vote among groups likely to support his opponent in the gubernatorial race. The circumstances of the recounts vary widely across individual states and races. But what doesn’t vary is Trump’s approach to waging what he sees as pitched public battles against his political foes. Trump’s history of crying foul when things don’t go his way dates back to his early days as a New York real estate developer, where he earned a reputation for litigiousness by frequently taking his competitors, and at times his partners, to court. When Trump lost, he was often quick to publicly blame the system, at times accusing judges of corruption, municipalities of bias and his own lawyers of incompetence. When Trump entered politics by announcing a presidential run in June 2015, his primary battlefield shifted from the courtroom to the ballot box, but he retained his instinct for blaming the system when it didn’t go his way. Once he won the Republican primary, Trump claimed the general election, too, was “rigged” against him, again, citing no evidence. As Trump trailed his rival, Hillary Clinton, in polls, he often claimed he was the victim of a rigged system, as he did in Cleveland in August 2016: “It’s a rigged system. It’s a totally rigged system. The elections are rigged,” he told supporters. That same summer, Trump’s tendency to blame the legal system when it didn’t favor him spilled over into the presidential race when he attacked a federal judge who was presiding over a case involving one of Trump’s business ventures. Trump claimed that the judge was biased against Trump because the Indiana-born judge was Hispanic. “He’s a Mexican. We’re building a wall between here and Mexico,” Trump said. In addition to claiming the election was rigged, Trump also told his supporters that if he lost, it would be because there was cheating in the election. “The only way we can lose, in my opinion — and I really mean this, Pennsylvania — is if cheating goes on,” he said in the state in August. As he continued to trail in the polls that fall, Trump warned supporters, again without evidence, that the election would be “stolen” from him. “I hear these horror shows, and we have to make sure that this election is not stolen from us and is not taken away from us. And everybody knows what I’m talking about,” he said at a Pennsylvania rally. Perhaps ironically, the only election interference in 2016 that Trump was unwilling to consider was any meddling by Russia. Since then, U.S. intelligence officials have concluded that Russian interference in the 2016 presidential election was widespread, and that it was perpetrated in order to benefit Trump’s campaign. On Friday, Trump’s refusal to accept this reality was once again on display, even as he worked to craft an alternate reality about what was going on in Florida and Georgia.